Natural talent. Unwavering passion. A fresh face on the acoustic stage. Ben Howard began writing songs at the age of eleven and took the leap during college to commit to music full-time. The rest is history, not that it’s been that long; Ben Howard is only 27. Releasing his first EP, Games in the Dark, back in 2008, his reputation steadily grew as he enraptured every listener with his hauntingly beautiful lyrics and the delicate, yet daring, way his fingers fly across the strings of his guitar. With his debut album, Every Kingdom, out in 2011, and his sophomore album, I Forget Where We Were, just released this past October, Ben Howard has ascended to the high tiers of the acoustic scene. And this Wednesday, his show at the Fox Theater reminded us of the beauty of acoustic folk and the power of music that truly comes from the heart and soul. It’s been two years since their first tour together, and Willy Mason was opening for Ben Howard once again. His set was mellow, blues-meets-country and the songs ambled along as one would walk along the side of a river. The addition of bass guitar and a pleasant harmony with the female vocalist added another dimension to his music. He ended the set with one of his first songs, “Oxygen,” from over a decade ago, but its lyrics about television and bombs, industrialization and ignorance, still rang true. The smoke crept across the stage before the lights went down, the audience’s anticipation building with every cloud. 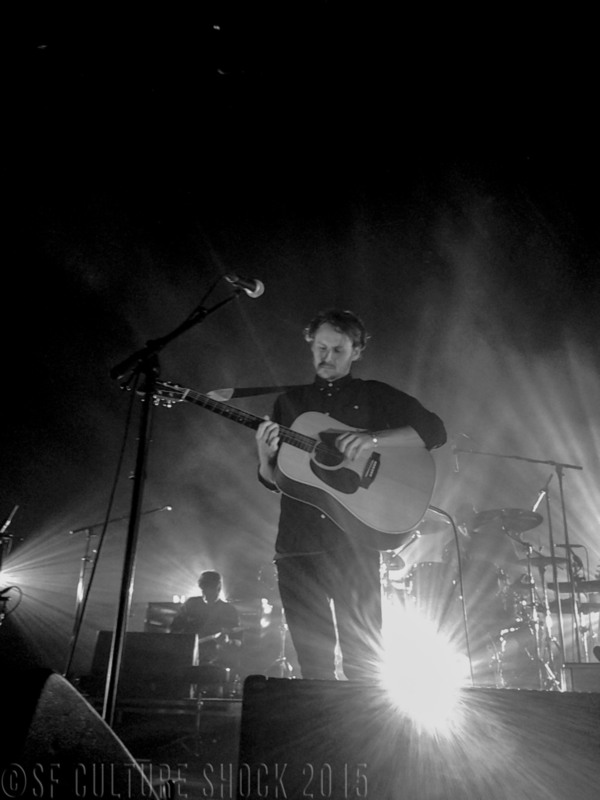 It was quite a spectacle, the hipster crowd that filled the Fox, flannel-clad and beers in hand, screaming and jumping on their friends to get a better view of Ben Howard emerging through the haze. 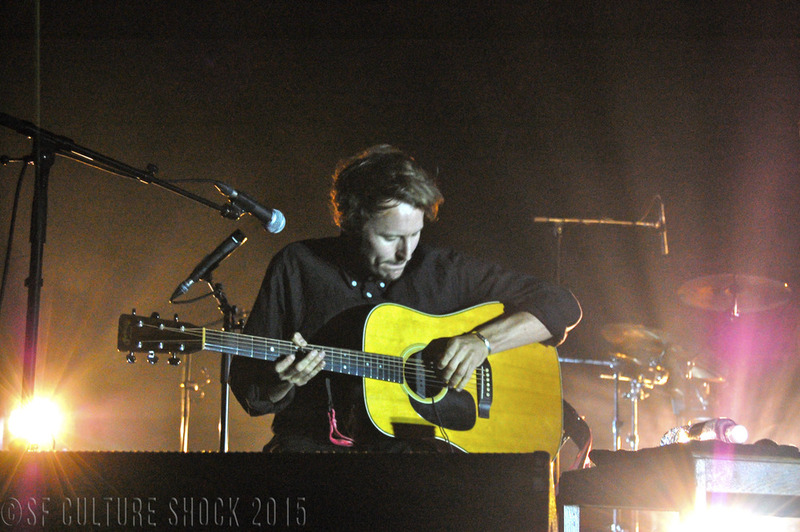 Dressed in all black, with his usual ‘bed-head’ hair, Ben Howard sat down at the mic and, without a word, started to play. Being down in the pit, up against the stage, I had a close-up view of Ben as he played and I was immediately awestruck by his mastery as a musician. His fingers skimmed across the strings, plucking and strumming with intricate precision. He looked so peaceful, as though he was simply letting the music flow through his fingertips on its own accord. He started out his set with songs from his newest album: the anthemic “Time is Dancing,” the heart-wrenching “Evergreen,” and “Conrad,” with its electronic-esque backbeat and his soothing hum. Then, during “I Forget Where We Were,” he wrapped his hand over the top of the neck, with his fingers pointing down instead of up. Though initially confused, I was swept up once again in his whimsical folk melodies, and joined the rest of the audience in swaying with eyes blissfully closed. Song Eight. My favorite track of Ben Howard’s: “Black Flies.” Stripped down to a slow, persisting drum and a soft, aching guitar, this song is all about the lyrics. There is a beautiful bleakness in his words – he captures the essence of melancholy, but frames it in such a way that you feel as if you’ve never heard anything quite like it and never want it to end. At the song’s crescendo, beams of light flashed across the black draped stage – “so live it up!” was the cue – and the stage was so bright you could hardly look at it. The speakers seemed to have been turned up to their highest volume and your body was vibrating in the sound waves cascading from the stage. And then, slowly, the song came to a gentle close, with only a muted guitar playing as he echoed the final refrain and a hush fell over the crowd. He closed his main set with another great song from his first album, “The Fear.” At the first chord progression, the entire audience erupted into hoots and hollers, which transitioned into jumping and clapping and singing along. During those last four minutes, an electricity sparked among the tightly-packed crowd as we reveled in the music. Not once did Ben Howard stop his set and talk – he just morphed from one song to the next – but I don’t think anyone thought twice about it. Everyone was vibe-ing and didn’t want the music to stop. The show eventually came to a close, and everyone slowly wandered out into the warm Oakland night, their minds still caught up on Ben Howard’s beautiful music.